Somebody had to publish this book. Harry Keeler wrote over 70 novels in the mid-20th century but thanks to a conspiracy among publishers and Freshman Composition 101 teachers worldwide, he has been totally forgotten by the masses. So editor and gonzo publisher Fender Tucker collected everything written about HSK by writers such as Francis M. Nevins, Bill Pronzini, William Poundstone, Chris Mikul, John Marr and others, added anything else he could pillage from Richard Polt's excellent publication, Keeler News, and in 2002 produced this 278-page book. 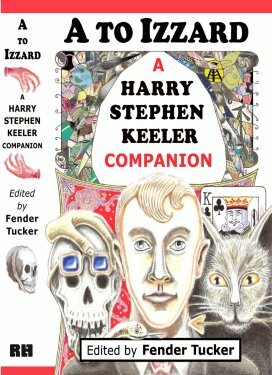 It has stories by Keeler himself, pastiches of Keeler's style, samples of jacket covers by Gavin L. O'Keefe and the most complete Keeler bibliography in existence.